You’re going along with your week and at the last minute, remember you offered to bring a snack or appetizer to book club, a dinner party, or the office potluck. The only problem is you only have about 10 minutes to whip something together. Enter my favorite secret snack weapon – the kabob! Kabobs are great for all seasons and can include all kinds of combinations of flavors – from cooked meats, to cheeses, and fruits to vegetables. This holiday season, my kabobs are EXTRA festive (and still super simple!) with white cheddar cheese, red strawberries, and green grapes. 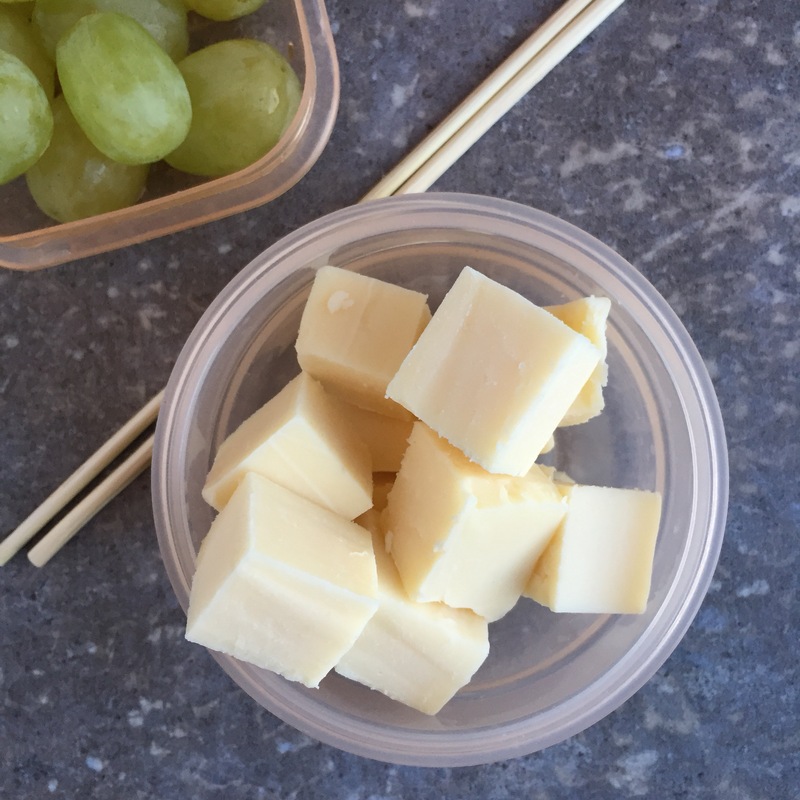 Cheese and fruit is a classic combination that even my kids are in love with, so no matter your audience, this recipe is sure to be a big hit! I add a drizzle of honey on top for sweetness and additional flavor, though you can do without if you want to avoid sticky hands! Create each kabob by placing one strawberry, one grape, and one cheese cube on a bamboo skewer. Place finished kabobs on a serving dish and drizzle with honey, if desired.